The oft rumoured Ford Fiesta ST is set to become a reality, and this concept version hints and what the final model will be like. The WRC inspired 180PS 1.6-litre EcoBoost powered model can reach 60mph in less than seven seconds, and thanks to world rally experience it should be fun through the corners. Despite its high performance, emissions are targeted at below 140g/km. 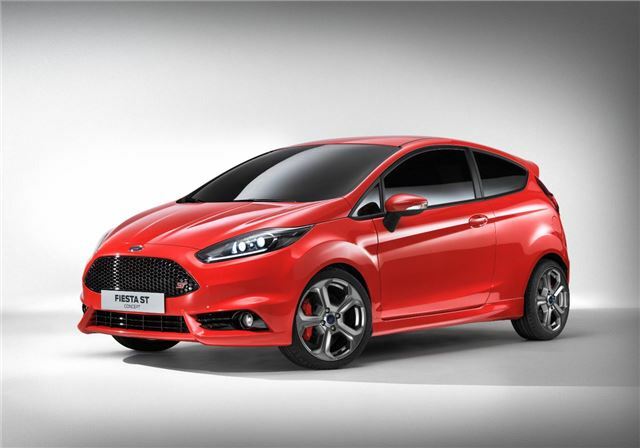 The bold design features the distinctive grille seen on the Focus ST, along with a bold rear diffuser wide rear arches and distinctive 17-inch alloy wheels. The interior features Recaro bucket seats and high contrast colours. There are no details on when the ST will be put into production or how much it cost, but we’ll bring you those details when they’re available.